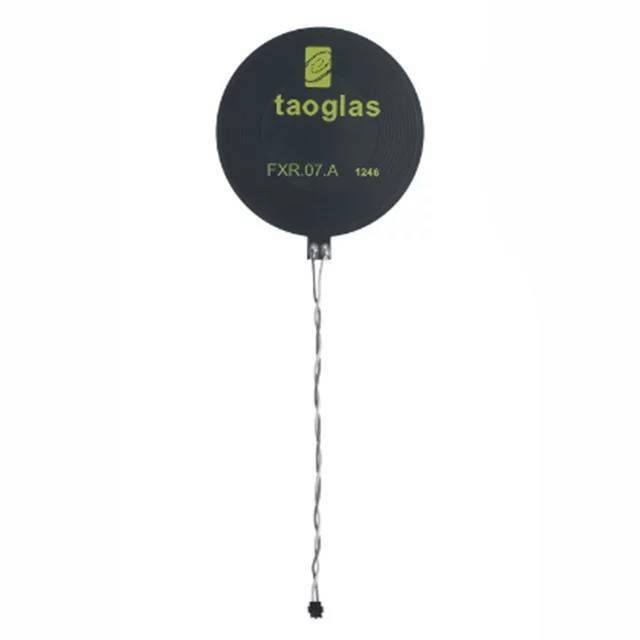 The FXR.07.52.0075X.A is a circular, flexible, NFC (Near Field Communications) antenna for use in mobile devices and other applications such as keycards, payment systems, and boarding passes. The design provides a flexible NFC antenna with 75mm twisted pair 28AWG cable that can be adhered to the plastic enclosure of the device for ease of installation and work with specific 13.56MHz RFID and NFC chips which need to connect via JST ACH connector. With NFC antennas being commonly attached to the battery of mobile devices, they can be customized with a ferrite flux director to provide isolation from the battery or other components within the device. Using the antenna on a conductive surface without a ferrite layer will result in extremely short range or complete failure to communicate. The coil inductance noted below can help estimate a capacitance value for creating resonance at 13.56MHz.